כיצד סיקרו בסין את ביקורו של רה”מ בנימין נתניהו? 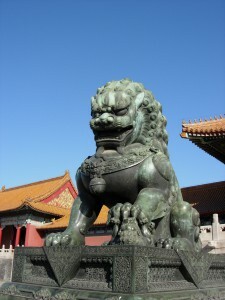 GOAL: To improve Israel – China ties by engaging in a systematic dialogue with the Chinese media. 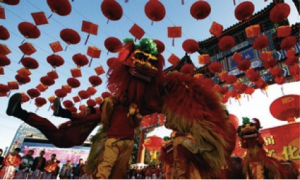 THE ISSUE: China is playing an increasingly central role in global affairs. As a permanent member of the U.N. Security Council and the world’s second largest economy, China has a voice in virtually every important international issue and it is increasingly engaged in the Middle East. 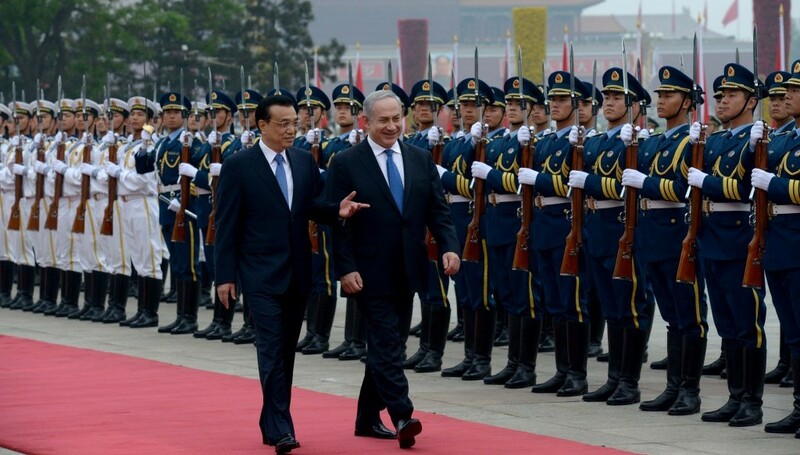 Israel considers its ties with China to be of crucial importance. 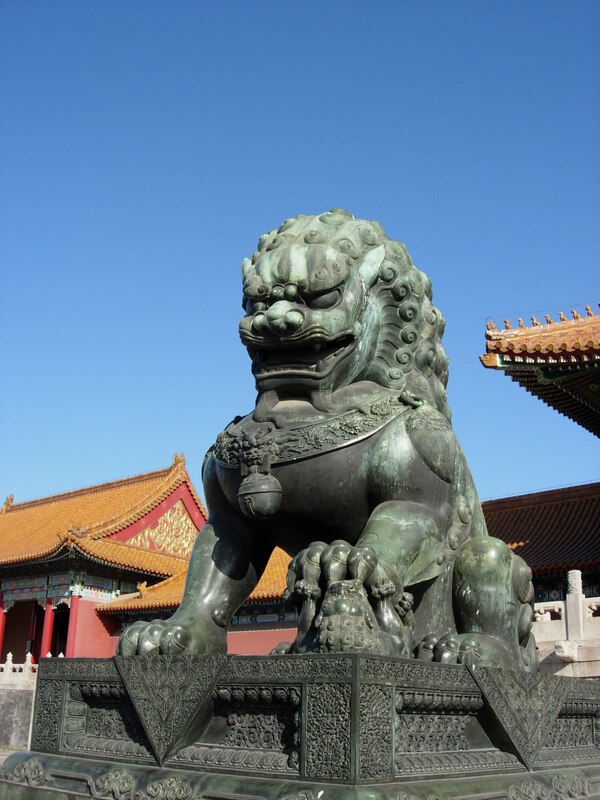 Both Israel and China are ancient civilizations and have highly complementary economies, so the potential for cooperation is high. Israel can work together with China on a range of issues such as agriculture, water treatment, food and health. Israel needs to engage the Chinese media, as it serves as a window on China. 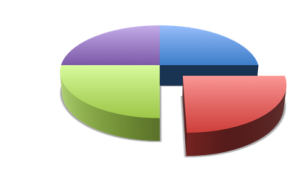 It is the world’s largest media system in terms of sheer numbers and language reach. Building bridges to the Chinese media and society is the best way for Israel to bring its story to Chinese audiences. MISSION: Under the auspices of the School of Media Studies of The College of Management Academic Studies (COMAS), Rishon LeZion, Israel, the Chinese Media Center (CMC) will maintain a dialogue with the Chinese media, conduct cutting-edge research of the media systems in the Greater China area and be an educational tool for COMAS students. CMC will be in a regular contact with the Chinese working print, digital, and broadcast media, thus facilitating greater understanding of Israel in China and vice versa. Currently no Israeli academic institution or non-profit organization engages or studies the media in the Greater China area in any way. The Chinese Media Center, the first of its kind in Israel and one of the few globally, will leverage the state-of-the-art facilities and communications research of the school and will connect Israel and China in a systematic dialogue and scholarly and professional exchanges. The Center at the School of Media Studies will serve Israel’s long-term interest by pursuing independent scholarship and building bridges between the two nations. 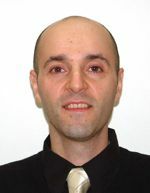 Alex Pevzner is an expert in the area of Chinese media and regularly publishes on Israel-China ties in the leading Chinese news media publications. Pevzner was the founding director of the China program of The Israel Project, the first ever program of its kind aimed at increasing understanding of Israel in China. Prior to that, Pevzner worked for over five years as a staff reporter of Dow Jones Newswires in Taiwan. Pevzner holds an M.A. in Asian Studies and a B.A. in East Asian Studies and International Relations from the Hebrew University of Jerusalem. He has also studied modern Chinese in Tsinghua University in Beijing and classical Chinese in National Taiwan Normal University in Taipei. He is fluent in Mandarin Chinese, Russian, Hebrew, and English. A quarter of the world’s newspapers are in Chinese; 132 million copies printed everyday. An analysis (in Hebrew) of Netanyahu’s visit to China coverage in the Chinese media. הדבר הבולט ביותר במהלך ביקורו של בנימין נתניהו בסין בשבוע שעבר, מעבר לכך שזהו ביקורו הראשון של ראש ממשלה ישראלי בסין מאז 2007, היה העובדה שבמקביל אליו ובאותו הזמן סין הזמינה עוד מנהיג מהמזרח התיכון - מחמוד עבאס (אבו מאזן), דבר שגרם לדיונים אינטנסיביים בתקשורת הסינית וברשתות החברתיות לגבי כוונותיה של ההנהגה הסינית. היו עוד מספר מאפיינים מעניינים לביקור: אבו מאזן היה למנהיג הראשון מהמזרח התיכון שביקר בסין מאז שההנהגה החדשה נכנסה לתפקידה (הוא היה בסין בין ה-5 ל-7 במאי, ואילו נתניהו בין ה-6 ל-10); לנתניהו היה זה ביקור רשמי ראשון בחו”ל אחרי השבעת הממשלה החדשה בישראל. זו הייתה גם הפעם הראשונה שמנהיגי ישראל והפלסטינים מבקרים בסין בו-זמנית והפעם הראשונה שסין פרסמה באופן פומבי את הצעתה לפתרון הסכסוך בין ישראל לפלסטינים. סין גם הציעה לראשונה לארגן פגישה בין נתניהו לאבו מאזן בזמן ביקורם בסין. בפגישתו עם אבו מאזן העלה מזכ”ל המפלגה הקומוניסטית ונשיא סין, סי ג’ין פינג, את 4 הנקודות שלו לפתרון הסכסוך, בהן תמיכתה (המסורתית, יש לומר) של סין במדינה פלסטינית עצמאית, שטחים תמורת שלום, הפסקת ההתנחלויות וכו’. החידוש בהצעתו היה שסין הביעה תמיכה פומבית לא רק בזכותה של ישראל להתקיים אלא בצורך להתחשב ב”צורכי הביטחון הלגיטימיים של ישראל”, ניסוח שנשמע לקוח מנאומים של נשיאים אמריקאים. לסין, הכלכלה השנייה בגודלה בעולם, יש באופן מובן אינטרסים רבים במזרח התיכון. סין היא היבואנית הגדולה של נפט מהאזור, ומאז שנות ה-50 היא שומרת על קשרים טובים עם העולם הערבי והמוסלמי. למרות קשריה עם המזרח התיכון, סין נמנעה עד לשנים האחרונות להדגיש יתר על המידה את מעורבותה והקפידה לשמור על פרופיל נמוך. אך בשנים האחרונות סין חותרת לעמדה מרכזית יותר בזירה הבינלאומית. לעיתים זה בא שלא מתוך בחירה, כמו למשל ההשקעות המסיביות שביצעו הסינים בחברות אמריקאיות, לבקשת האמריקאים, בזמן המשבר הפיננסי העולמי, או בדרישתה של ארצות-הברית שסין תיקח חלק פעיל יותר בנושאי האקלים. בשנים האחרונות סין נושאת את קולה ביתר ביטחון. זה כולל ניסיון להגביר את קולה וכוחה באמצעות התקשורת שלה (לדוגמה סינחואה, סוכנות הידיעות הרשמית של סין הקימה ערוץ טלוויזיה באנגלית שמשדר 24 שעות ביממה), באמצעות תרבותה, וגם בהבעת עמדות תקיפות יותר באסיה ובעולם. זו הייתה התפיסה הרווחת בתקשורת הסינית במהלך ואחרי הביקור של נתניהו. לא רק שסין זכתה להערכה עולמית על ניסיונה לתווך בין ישראל לפלסטינים – בסופו של דבר, סין רק תרוויח אם היא תצליח להפיג את המתיחות באזור ובמיוחד בין ישראל לבין איראן, אלא שבראש ובראשונה על סין מוטל, מעצם מעמדה וכוחה, להעלות את הפרופיל שלה באזור. סין צריכה לפעול כך אם היא רוצה שייקחו אותה ברצינות, טענו המאמרים בעיתונים. כך לדוגמה, יומון העם “Renmin Ribao”, העיתון של המפלגה הקומוניסטית הסינית והמייצג את ההנהגה, כתב בטור עורך תחת הכותרת “סין, מקדמת השלום במזרח התיכון”: “בקידום תהליך השלום במזרח התיכון, קולה של סין הולך ומתגבר”. סוכנות הידיעות סינחואה אף הרחיקה לכת יותר. בניתוח מיוחד על הביקור, כתבה סינחואה כי “נקיטת עמדה אקטיבית בקידום התהליך היא חלק חשוב במדיניות השלום הכוללת של סין, ותקדם את תדמיתה של סין כמעצמה אחראית”. קשה להאמין שהסינים לא מודעים לקושי להגיע לפתרון הסכסוך באזורנו, וסין כנראה לא מתכוונת, וגם לא יכולה, לנקוט אי אילו צעדים ממשים מיידיים לקידום התהליך. אבל מבחינת הסינים, הם כבר זכו בנקודות זכות בדעת הקהל העולמית, וזה היה הדבר העיקרי בביקורים. My op-ed for China’s Global Times English edition also made it to the front page of the English edition of the People’s Daily (the parent newspaper of Global Times). Israeli Prime Minister Benjamin Netanyahu is wrapping up his five-day visit to China, his first such visit as the top Israeli leader since May 1998, and the first trip by an Israeli prime minister since Ehud Olmert came to China in 2007. The development of Israel-China ties so far and the changing situation in the Middle East both present an opportunity for the two countries to boost their ties. Netanyahu has often said that he wants to boost Israel’s trade with China, and even double it from the around $8 billion in bilateral trade last year. The focus of the visit is the signing of agreements in areas like agriculture and water, Israel’s strengths. China’s ambassador to Israel, Gao Yanping, recently said the China-Israel relationship is in its best-ever shape. Israel cherishes its ties and long friendship with China, and Netanyahu’s visit aims to demonstrate this. Israel and China enjoy fruitful cooperation in many areas. Israel, the “start-up nation,” is well known for its innovation and technological prowess, whereas China offers a huge market, strong manufacturing capabilities, and highly trained and diligent work force. China would benefit by encouraging its enterprises to establish research and development centers in Israel, and by investing in Israeli companies, like numerous world-leading technology companies have done. There are signs that this is gradually happening. There is already a leading Chinese technology company that has set up a R&D center in Israel by investing in a local company, though the firm is keeping a low profile for now. 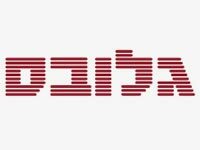 Another large Chinese company, Shanghai Fosun Pharmaceutical (Group) Co., Ltd recently said it would buy a 95.6 percent stake in Israel’s Alma Lasers Ltd for $240 million. This is Fosun’s first acquisition since its public offering. Israel is also especially strong in areas where China’s needs are greatest: food, water, and clean energy. For instance, Israel’s milking technology has improved yields worldwide, and most of Israel’s drinking water is desalinated from seawater. Israel has large offshore gas deposits as well. For example, the huge Leviathan natural gas field has estimated reserves of 18.9 trillion cubic feet (TCF). Another field, Tamar, holds 9.7 trillion TCF, which is over half of what the entire EU consumes annually. These, and many other discoveries, mean that Israel is about to become an energy exporter with Europe and Asia the likely destinations. Tourism is another area where there’s further potential to expand bilateral ties, with more direct flights needed to meet the demand. The two countries can also explore opportunities for investment. For example, famed investor Warren Buffett expressed confidence in the Israeli economy by personal example. Buffett said on May 2 that he plans to buy the remaining 20 percent of Iscar Metalworking Co. for about $2 billion, after buying 80 percent of Iscar for $4 billion in 2006. The latest deal values the cutting-tool maker at about $10 billion, about double its valuation in 2006. The recent turmoil in the Middle East provides China and Israel many opportunities to cooperate. The entire region is in the middle of the most sweeping changes since the 19th century, and Israel is one of China’s most stable partners in the Middle East. This week China is also hosting Palestinian President Mahmoud Abbas. China is seeking a greater role in the region and in world affairs. Israel is constantly striving to achieve peace with its neighbors. China’s good ties with Arab countries can play a positive role in this regard. My article (in Hebrew) on the thriving Chinese media. מה סוד הפריחה של העיתונות בסין? בזמן שעיתונים מודפסים במערב נסגרים או מפטרים עובדים, העיתונות בסיןממשיכה בצמיחה המהירה שלה. למרות שכל כלי התקשורת שייכים למפלגה הקומוניסטית הסינית ונשלטים על-ידה, התקשורת בסין שונה מאוד ממה שהיה מקובל לראות במדינות הגוש הסובייטי או בצפון קוריאה עד היום. בסין, מגוון הקולות, צורת ההגשה, קיומן של עיתונות חוקרת ועיתונות צהובה, ותחרות על קוראים – כולם מאפיינים של תקשורת כפי שמקובל לראות במערב. ובכל זאת, אין מדובר בתקשורת חופשית במובן המערבי. כיצד ניתן להסביר פרדוקס זה? התשובה נמצאת ברפורמות שיושמו בסין בעשורים האחרונים וביכולת ההסתגלות המופלאה של העיתונאים למודלים עסקיים חדשים. עד לתחילת הרפורמות ב-1978 היו בכל סין פחות מ-200 עיתונים. כולם נראו אותו דבר ודיווחו בצורה דומה – שירי הלל למנהיגים, ביקורים רשמיים וכדומה. פשע, שריפות וניוז כללי לא דווחו. כל יחידות העבודה היו מנויות על העיתון הרשמי של המפלגה, “יומון העם” (רן-מין רי-באו – Renmin Ribao), ואנשים היו מצופים לקרוא אותו. מי שלא קרא, היה שומע את אותן הכותרות שהוקראו ברמקולים בשטח המפעל. הטלוויזיה הממלכתית, CCTV, מיחזרה את כותרות הבוקר בדיווחי הערב שלה. כמובן שלפני עידן האינטרנט לא היו מקורות מידע אלטרנטיביים, ומה שלא דווח, לא היה “קיים”. התקשורת הממסדית – העיתונות והרדיו, ויותר מאוחר הטלוויזיה – נתפסה בסין הקומוניסטית כ”גרון והלשון” של המפלגה. כך היה עוד לפני הקמת הרפובליקה העממית הסינית ב-1949 בראשות מאו דזה-דונג, באזורים שהיו נתונים לשליטת הקומוניסטים בזמן מלחמת האזרחים, וכך ביתר שאת עם תפיסת השלטון בכל המדינה. במיטב המסורת הלניניסטית, הקומוניסטים הסינים ראו בעיתונות לא רק כלי אינפורמטיבי (או נותן שירות) אלא בראש ובראשונה כלי חינוכי, שנועד לרומם את התודעה המעמדית של האזרח ולהסביר לו את מדיניות המפלגה. אמנם במקור תפקיד העיתונאי כלל גם את משימת איסוף תגובות העם למדיניות הממשל, כדי שהמנהיגים יוכלו ללמוד מכך – מעין פיבדק חוזר – אבל זרימת המידע התבצעה בעיקר בכיוון אחד: מן המפלגה לעם. כל העיתונאים היו חייבים לדווח מה שמחלקת הפרופגנדה של הוועד המרכזי של המפלגה קבעה. כך עד היום, העורכים הבכירים של סין-חואה (Xinhua), סוכנות הידיעות הרשמית של סין, מקיימים שתי ישיבות יומיות עם פקידים בכירים של מחלקת הפרופגנדה ודנים במה וכיצד לדווח. בסין המילה “פרופגנדה” מעולם לא הייתה בעלת קונוטציה שלילית, אלא הייתה דומה למילה “מידע”. החל מ-1978, עם חזרתו של דנג ס’יאו-פינג לעמדה מרכזית בהנהגה, סין החלה לבצע רפורמות מקיפות בכלכלה, בחקלאות ובתעשייה, והחלה להיפתח לעולם, ואת התוצאות רואים כיום – סין היא הכלכלה השנייה בגודלה בעולם. כדי להקל על הקופה הציבורית, הממשל גם החל לקצץ בהדרגה בסובסידיות לכלי התקשורת, שהחלו להבין שהם צריכים להיות כמו במערב, כלומר להרוויח את לחמם בעצמם ממכירת עיתונים (ולא ממנויים שמוכתבים מלמעלה) ומפרסומות. במקביל החל שוק הפרסום להתפתח, גם כי נוצר המדיום שבו ניתן לפרסם, וגם כי התהוו הלקוחות – החברות העסקיות. למרות שהממשל לא התיר את הרסן הפוליטי – התקשורת היא עדיין שופרה של המפלגה הקומוניסטית – ובכדי לשרוד העיתונים הבינו שהם חייבים לשחק לפי כללי ביקוש והיצע. זוהי הסיבה להיווצרותו של מודל היברידי ייחודי לסין – מסחור ללא ליברליזציה פוליטית, והיות התקשורת חצויה בין תכתיבי השוק ותכתיבי המפלגה, כהגדרת חוקרת התקשורת הסינית ג’או יואה-ג’ה. בנוסף, הממשל התיר הקמת כלי תקשורת חדשים ברמה המקומית (עיתונים של הפרובינציה ושל עיר) ועל-ידי גופים ממשלתיים ומכוני מחקר. כך, למרות שבסופו של דבר אין כלי תקשורת סיניים פרטיים במובן המערבי (כולם שייכים לגוף ממשלתי זה או אחר, במידה שונה של שרשור), להלכה ההבדל בין העיתונים השונים הוא עצום. קודם כל, השפה השתנתה לגמרי, ובמקום דיווחים משמימים על ביקורים רשמיים, השפה קולחת, ונוצר דיווח עיתונאי אמיתי (וגם לא מעט עיתונות צהובה). העיתונאים השתנו גם הם. לצד שליחים בשירות המפלגה בלבד, ישנם לא מעט עיתונאים חוקרים אמיצים שחושפים שחיתויות, ולפעמים משלמים על כך בישיבה בבית סוהר. ישנם גם עיתונאים שלא מעניינת אותם אידיאולוגיה, לא בעד ולא נגד המפלגה, והם רואים בעבודה העיתונאית פרנסה ותו לא. התחרות הגוברת בין כלי התקשורת השונים והצורך להקשיב לא רק למפלגה אלא גם לצרכן (אף זה מושג חדש) יצרה בהכרח בידול בין העיתונים. כך למשל, יש כיום עיתונים ומגזינים הפונים לצעיר היאפי העירוני, שמתעניין באופנה ובמותגי יוקרה. ישנם שמדווחים על טכנולוגיה וכאלה שמוקדשים לטיולים ופנאי. יומון העם עדיין נקרא על-ידי פקידי המפלגה ועל-ידי חוקרים מהמערב שמעוניינים לדעת את עמדת ההנהגה בנושאים שונים. ב-2009, יומון העם הקים עיתון חדש בשם “גלובל טיימס”, שהפך למעין המהדורה הבינלאומית שלו, והוא יותר פתוח למגוון דעות. לאחרונה ה”גלובל טיימס” אפילו פירסם מאמר שמבקר – בעדינות, יש לציין – את מדיניות התמיכה של סין בצפון קוריאה. קמו עיתונים וכתבי עת שמוקדשים לכלכלה ופיננסים, וישנם עיתונים כמו “Southern Metropolis Daily” שמתמחים בעיתונות חוקרת. בסך-הכול ישנם כיום לפחות 10 עיתונים שמדפיסים יותר ממיליון עותקים ביום כל אחד. התוצאה של כל הרפורמות האלה, ותחילת הקמת האינטרנט ב-1993, הייתה התפוצצות מידע חסרת תקדים. לאחר 3 עשורים של רפורמות יש בסין כמעט 2,000 עיתונים – יותר מפי עשרה מ-1978, וקרוב ל-10,000 כתבי-עת (9,884). מספר העיתונים המודפסים בשנה צמח באותה התקופה כמעט פי ארבעה, מ-12.78 מיליארד עותקים ל-46.74 מיליארד בסוף 2011 (עלייה של 3.4% לעומת 2010) – כלומר כ-128 מיליון עותקים מודפסים בסין בכל יום. על-פי הערכות, בשנת 2012 מספר העותקים המודפסים כבר עבר את ה-50 מיליארד. מתוך 100 העיתונים הנמכרים ביותר בעולם, רבע הם עיתונים סינים. להררי הנייר האלה מצטרפות כ-270 תחנות טלוויזיה אזוריות ומקומיות וכ-250 תחנות רדיו. אגב, הרדיו הבינלאומי הסיני מפעיל גם אתר בעברית, והתקשורת הסינית בכללותה מתעניינת מאוד בישראל. בניגוד לימים שלפני הרפורמות, רוב כלי התקשורת האלה כבר לא מקבלים תקציבים מהממשל, ובניגוד למערב, עיתונים בסין עושים חיל מבחינה פיננסית. לדוגמה, ההכנסות של עיתונים וכתבי-עת מפרסום בלבד עלו מ-6.66 מיליארד דולר ב-2010 ל-8.34 מיליארד דולר ב-2011 ועוד ל-10.27 מיליארד דולר ב-2012. המספרים האלה אמנם עדיין קטנים מהמערב, אבל הם צפויים להמשיך לצמוח בשל הגידול הכללי בשוק התקשורת בסין. אחד המאפיינים של התקשורת הסינית, השונים מן המוכר מהעולם המערבי, הוא המשך הגידול המקביל הן של הדפוס והן של המהדורות הדיגיטליות, כלומר האינטרנט לא גורע מרווחי הדפוס. בסוף 2012 היו בסין 564 מיליון גולשים. המספר מרשים, אך מדובר באחוז חדירה של פחות ממחצית האוכלוסייה. כך, שלמרות שמרבית העיתונים וכתבי העת בסין מחזיקים אתרי אינטרנט מצליחים, מספר העיתונים המודפסים ממשיך לצמוח, בין השאר בשל היעדר גישה למדיה דיגיטלית בכל רחבי סין, מה שמאפשר מרחב למגוון רחב של כלי תקשורת (יש לציין כי הטלוויזיה היא עדיין המדיום המועדף של הסינים וגורפת את רוב תקציבי הפרסום). אם הכסף מפרסום לא מספיק, אז ניתן לפנות לדרך של הנפקה. כך עשה יומון העם, כאשר גייס 225 מיליון דולר בהנפקה לציבור של האתר שלו באפריל 2012. רשת סין-חואה, הקול הרשמי של סין, הגישה בקשה בינואר להנפיק את אתר החדשות שלה. הממשלה השקיעה מאמצים רבים וכסף רב בקידום העמדה שלה בזירה הבינלאומית, דרך עיתונים ושידורי טלוויזיה באנגלית, וצעדים אלה הם חלק מאסטרטגיה עקבית של הממשל הסיני להגביר את “הכוח הרך” של סין ולהעלות את הפרופיל של התקשורת שלה בעולם. איך אומרים פייסבוק או טוויטר בסינית? My article (in Hebrew) in Globes on the Chinese social media. מאפייני הניו-מדיה הסינית. דמיינו עולם ללא פייסבוק, טוויטר, או יו-טיוב, אבל עם יותר מחצי מיליארד גולשים. אל תדאגו, לגולשים האלה ממש לא משעמם, כי ישנן חברות שנכנסו לחלל הזה ומציעות פלטפורמות מדיה שלא נופלות בכלום מן המקובל במערב. העולם הזה הוא סין. ממשלת סין חוסמת גלישה לאתרי מדיה חברתית רבים, לא רק לפייסבוק או לטוויטר, אלא גם לפלטפורמות של בלוגים כמו וורדפרס וגם אתרי חדשות מערביים מסוימים. בניגוד להנחה המקובלת כי המניע העיקרי לחסימה הוא פוליטי (שגם הוא נכון), הסיבה העיקרית היא הרצון לטפח חברות מקומיות שיוכלו להתחרות בכוחות עצמן מול ענקי המדיה החברתית מהמערב. אמנם עם קצת רצון וכסף ניתן לעקוף את הפיירוול הסיני מתוך המדינה ולגלוש בפייסבוק, אך רוב הגולשים פשוט לא צריכים זאת – החברות המקומיות בהחלט מסוגלות לספק כל צורך אינטרנטי. ב-2012, מספר האנשים המחוברים לאינטרנט בסין גדל ל-564 מיליון, עלייה של כ-51 מיליון איש. המדהים בנתון הזה הוא שמדובר בשיעור חדירה של 42% בלבד, כלומר, פחות ממחצית מאוכלוסיית סין מחוברת לאינטרנט. ממשלת סין תמשיך בהנגשת האינטרנט לציבור והגידול יבוא בזכות ההשקעה בתשתיות ותהליכי העיור המואצים שסין עוברת. כשלושה רבעים (420 מיליון) מציבור זה גולשים באמצעות מכשירים ניידים, מה שמשפיע גם על מאפייני ההשקעה בפרסום דיגיטלי וגם על אופן התפתחות המדיה החברתית הסינית. חברות סיניות כמו סינה (Sina) וטנסנט (Tencent) זיהו את הפוטנציאל הגלום בתקשורת החברתית, שמתאפשר מגידול בשיעור החדירה של אינטרנט מצד אחד, והיעדר מתחרים זרים מצד שני. התוצאה היא התפוצצות של פלטפורמות מדיה ומדיה חברתית בסין בתחומים של חיפוש מידע, שיתוף קבצי וידיאו, רשתות חברתיות ועוד. בניגוד למערב, בסין המדיה החברתית החלה להתפתח מאוחר יחסית, ולכן בשום תחום של המדיה החברתית אין חברה מסוימת מובילה כי אם מספר מתחרים חזקים שמחלקים ביניהם את השוק. כך למשל, יש יותר מעשר פלטפורמות למיקרובלוגינג (דמויות טוויטר), שנקראות ווייבו (weibo) בסינית, מתוכם ארבעה שחקנים גדולים במיוחד – סינה, טנסנט, סוחו (Sohu), ונטאיז (Netease). סינה וטנסנט הם שני השחקנים העיקריים, כאשר לשניהם יותר מ-300 מיליון משתמשי ווייבו (כמובן, לגולש אחד יכול להיות חשבון ביותר מחברה אחת), כאשר קהל המשתמשים של טנסנט נוטה להיות יחסית צעיר יותר ומתעניין בבידור, ואילו סינה מושכת אליה יותר קהל של צווארון לבן, משכילים, והדיונים נוטים יותר להיות בנושאים רגישים כמו חדשות ופוליטיקה. כמו בטוויטר, בווייבו ניתן לכתוב טקסטים של 140 סימנים, אבל כאן החברות הסיניות התעלו על המודלים המערביים. ראשית, בווייבו ניתן להגיב בגוף הטקסט (בניגוד לטוויטר, שבו ניתן להוסיף תגובה רק באמצעות retweet, מה שמקצר את המקום לכתיבת התגובה), מה שהופך את ווייבו לדומה יותר לפייסבוק. שנית, ניתן לצרף עד תשע תמונות בניגוד לאחת בלבד בטוויטר ואם מוסיפים קישור הוא מתקצר באופן אוטומטי. אך היתרון העיקרי של ווייבו על פני טוויטר הוא אופי השפה הסינית שבנויה על סימניות (כל סימנייה מבטאת מילה) ולא על אותיות, כך ש-140 סימניות הן בעצם 140 מילים שבהן ניתן להגיד המון. פשטות ונוחות השימוש בווייבו, מרחב הביטוי בו, והיותו פלטפורמה של ציוץ מהיר (כלומר, שילוב היתרונות של פייסבוק וטוויטר) שמתאים לעובדה שרוב הגולשים משתמשים בטלפונים ניידים לגלוש באינטרנט, כל אלה הפכו את ווייבו לשליט ללא עוררין בתחום המדיה החברתית, והפופולריות שלו העפילה על רשתות חברתיות רגילות כמו רן-רן (Renren) או קאיסין וואנג (Kaixin wang), המקבילות של פייסבוק. בהשוואה למערב, הפרסום באינטרנט בסין מפגר במידה מסוימת אחר ההתפתחות המהירה של המדיה החברתית הסינית בשנים האחרונות, כך שבשנים הקרובות צפויה צמיחה מהירה במיוחד של תקציבי הפרסום. כך למשל, למרות הגידול המהיר בבתי-האב שמחוברים לאינטרנט, רק כחצי מהמפרסמים משתמשים באינטרנט (רוב תקציב הפרסום בסין עדיין מוקדש לטלוויזיה) לעומת כ-80% בארה”ב. ב-2011 סין כבר עקפה את גרמניה והפכה לשוק הבידור והמדיה השלישי בגודלו בעולם אחרי ארה”ב ויפן, עם תקציב פרסום שהגיע ל-109 מיליארד דולר. על-פי תחזית של PWC, הוצאות הפרסום בתחום הבידור והמדיה בסין יגדלו בשיעור צמיחה שנתי מצטבר של 14.6% עד ל-2016 לכדי 192.5 מיליארד דולר. זהו שיעור הצמיחה המהיר ביותר ב-13 שוקי הפרסום הגדולים בעולם. בינתיים, המפרסמים הסינים רודפים אחר הצרכנים והולכים לאן שהעיניים הולכות – לאינטרנט. 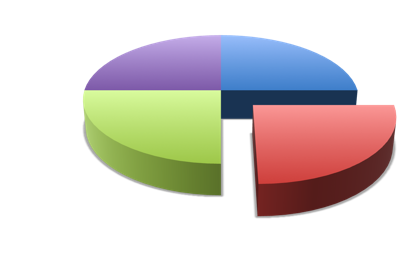 שוק הפרסום באינטרנט צמח ב-46.8% ב-2012 והגיע ל-12.08 מיליארד דולר. חברת המחקר iResearch צופה שתקציבי הפרסום באינטרנט יגיעו ליותר מ-33 מיליארד דולר ב-2016, כאשר המפרסמים ישקיעו את כספם בפלטפורמות שמושכות גולשים, כלומר באתרי חיפוש, אתרי מסחר אלקטרוני, ובאתרי שיתוף קבצי וידיאו. כך, כבר במאי 2012, יותר גולשים ביקרו באתרי שיתוף קובצי מדיה סיניים מאשר באתרי מנועי חיפוש. יו-טיוב, כאמור, חסום בסין אבל לסינים יש את שתי הגדולות יואו-קו (Youku) וטו-דואו (Tudou) שמאפשרות להעלות קבצי וידיאו. אגב, שתי החברות האלה התמזגו בשנה שעברה תוך הבנה שכדאי ליהנות ביחד מתקציבי הפרסום אך החליטו לשמור כל אחת על המותג שלה, כאשר טו-דואו פונה לקהל צעיר יותר. מעבר למספרים ולתקציבי הפרסום, הדבר המרתק ביותר לגבי המדיה החברתית הסינית הוא הבמה שהיא מאפשרת לדיון פוליטי (במגבלות הסיניות), להיווצרות חברה אזרחית, ולעיתונאות חוקרת של אזרחים. כל אלה יוצרים דעת קהל אמיתית שמשפיעה על הממשל ולעיתים אפילו גורמת לשינוי מדיניות, גם בהיעדר דמוקרטיה ייצוגית. אולי הסיבה העיקרית לפופולריות העצומה של מדיה חברתית בכלל ושל בלוגים ומיקרובלוגים בפרט, היא שהמדיה מעניקה לאזרח הפשוט חופש ביטוי. למרות הצנזורה הכבדה על האינטרנט (ו”צבא” של בלוגרים מטעם הממשל), המהירות של הציוצים, התגובות, והאפשרות להעביר ציוץ הלאה גם אם הפוסט המקורי כבר נמחק, מציבים אתגר רציני בפני הצנזורה הסינית. כאשר העיתונות והטלוויזיה המסורתיים מלעיטים את הציבור בחדשות “מטעם”, הגולשים רואים באינטרנט מקור לחדשות פחות מצונזרות והזדמנות לקחת חלק בדיון. מילים רבות מצונזרות בווייבו (למשל שמות המנהיגים או שמות של מתנגדי משטר) אך הגולשים מוצאים דרך לעקוף את הצנזורים ומשחקים איתם משחקי חתול ועכבר. לדוגמה, המילה “ממשלה” נחשבת לרגישה, אך הבלוגרים משתמשים בביטוי “שושלת שמיימית”, שמעבר להיותה תחליף, מהווה גם ביקורת סמויה על המשטר שאמור להיות מודרני. חשיפות של פרשיות שחיתות בממשל המקומי פורצות הרבה פעמים בווייבו ומכתיבות במקרים מסוימים אג’נדה לכיסוי עיתונאי “מסורתי”. כמובן, הממשל מאפשר דיון חופשי יחסית באינטרנט במידה מסוימת כדרך לבחון את מצב הרוח של העם ולהיות עם היד על הדופק. הממשל גם יודע להציב גבולות ברורים לדיון כאשר מדובר בנושאים רגישים במיוחד (למשל, פרשיית מעצרו של בכיר המפלגה Bo Xilai בעוון שחיתות במארס 2012). אך כל זה לא מסתיר את העובדה שהשד האינטרנטי יצא מן הבקבוק, והממשלה מוצאת את עצמה מחויבת למצוא דרכים חדשות להתמודד עם ביקורת ציבורית. Here is an interview with me done by Guangming Daily, published on p. 8 (first page of the int’l section). 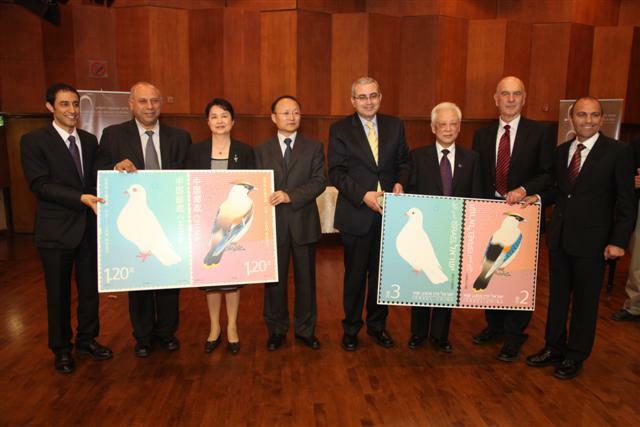 Israel and China are celebrating the 20th anniversary of diplomatic relations. Israel is increasingly looking east and has recently taken a series of steps to boost its ties with China. But what should Israel do about the concerns of its closest ally, the US? For the past six decades, the Americans have moved to prevent Israel from moving too close to China. Israel is generally considered to be firmly in the US camp when it comes to international relations. With the frequency and the intensity of US-Israel dialogue, sometimes it’s easy to forget that Israel wasn’t always tied to the West and the US. The founding fathers of modern Israel sought partners wherever they could and weren’t ideologically fixated on a certain direction. For example, faced with Arab hostility in the early days of the state, Israel’s first prime minister David Ben-Gurion and foreign minister Moshe Sharett actively explored the non-Arab axis in the Middle East, Iran, Turkey, and the Kurds. Nor was Israel’s attention limited to the Middle East or the West. Shortly after the end of Israel’s War of Independence in 1948, Israel recognized the PRC on January 9, 1950, the first country in the Middle East and the seventh non-communist country to recognize new China. Unlike many Western countries, Israel never recognized the Kuomintang government in Taipei. But while Israel recognized the PRC 28 years before the US did, China and Israel established relations only in 1992. The main reason for the delay was US interference, as the US position was influenced by the emerging Cold War, the “loss of China” theory, and the eruption of the Korean War (1950-53). Many Chinese remember that Israel was forced in 2000 to cancel a deal to supply China with the Phalcon surveillance system because of US pressure, but not many know that the US had already blocked closer Sino-Israeli ties in the early 1950s. The US pressure delayed the early development of Israel-China ties, at the same time as China began to realize the potential of the Arab and Muslim world. Today, Israel wants to advance its ties with China, and Israeli Prime Minister Benjamin Netanyahu has called on his ministers to visit China in order to strengthen economic ties between the two countries. The Israeli interest is clear. Israel wants to win new partners and markets, and gain China’s ear on the Iranian nuclear threat. In addition to its technology and innovation, Israel is bringing to the table large new gas finds that can help China diversify its energy suppliers. The gas finds have already piqued Russia’s interest so much that Russian President Vladimir Putin visited both China and Israel shortly after his inauguration. China wants stability in the Middle East, secure energy supplies, and to further its global position at a time of tension with its neighbors, particularly in the South China Sea. China also enjoys good ties with the Arab and Muslim world, and Chinese interests in the Middle East at least partly coincide with US interests if both sides can agree on ensuring fair and stable access to energy sources. China has repeatedly expressed its opposition to Iran developing nuclear weapons and has warned Iran against closing the Strait of Hormuz. Interestingly enough, perhaps China’s two most stable diplomatic partners in the Middle East are Iran and Israel. Therefore, the time is ripe for China and Israel to advance their relationship even further, even in the face of possible US opposition. Although the US remains vigilant on military relations development between Israel and China, both sides have been conducting fruitful cooperation. For example, Israel helped the Chinese army to train anti-terrorist armed police, and in August Chinese naval vessels concluded the first-ever visit to the Israeli navy port. This cooperation did not harm the fundamental interests of the US, and US-Israel relations remain firm as before. Israel’s good relations with the US can actually be an asset for China. China can use the US-Israel-China triangle to improve its own relations with the US, as China-US ties will remain the most important bilateral relationship in the world in the foreseeable future. Israel is facing hard choices but willing to take the chance. Is China ready? The Chinese are losing patience with Iran’s refusal to assuage Western concerns regarding the Iranian nuclear weapons program. Those following the Chinese media during the recent visit of Iranian President Mahmoud Ahmadinejad may have noticed a slight change in China’s tone toward Iran, indicating that the Chinese, while still interested in cooperating with Iran on a range of issues, are starting to lose patience with Iran’s refusal to assuage Western concerns regarding the Iranian nuclear weapons program. Ahmadinejad visited Beijing on June 6-7 at the invitation of his counterpart, Chinese President Hu Jintao, to attend the annual economic summit of the Shanghai Cooperation Organization (SCO), a body that is China’s attempt to balance US and western influence in Asia. China is Iran’s main trading partner, a key investor in Iranian economy, and continues to be a major buyer of Iranian oil, recent import cuts notwithstanding. 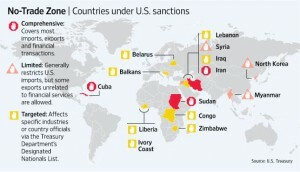 China has also been instrumental in watering down the UN sanctions leveled against Iran. While Iran only has observer status at the SCO, China was conscious of the global attention on Ahmadinejad’s visit, especially in view of the stumbling talks around Iran’s nuclear program. After two recent rounds of talks between Tehran and world powers and ahead of another round in Moscow, the sides are nowhere close to reaching an agreement. Even though Iran’s willingness to enter the talks stems from the biting economic sanctions, Iran seems to bet the differences between the world powers, the prospect of rising oil prices, and the support for Iran from China and Russia would cause the West to bend eventually. Still, China understands (though it may not say so explicitly) that the Iranian nuclear program includes a military component and is aimed at extending its regional influence. Chinese Premier Wen Jiabao reiterated to the visiting Iranian president China’s opposition to any Middle Eastern country seeking to acquire nuclear weapons, and it was clear Wen meant Iran. Even more significant was Hu Jintao’s message to Ahmadinejad during the official meeting. There were further signs that China is aware of Western concerns over Iran’s nuclear program. While Ahmadinejad’s visit resembled a state visit (including a red carpet, honor guard review) and he met with the top three Chinese leaders, China’s foreign ministry didn’t define it as a state visit. This was his third visit to China, and all three were a part of some international activity and not an official state visit. Media coverage was also relatively low key – for example, People’s Daily, the official mouthpiece of the Communist Party, didn’t run its own article on the visit and simply used the Xinhua News Agency copy. Another example is the fact that Iranian Foreign Minister Ali Akbar Salehi remained in Beijing for talks with his Chinese counterpart Yang Jiechi, which was not covered at all by the Chinese media. In a nod to Western concerns, the Chinese hosts didn’t discuss (at least openly) energy cooperation with Iran during the visit. Still, China isn’t willing to give up its cooperation with Iran completely. Hu told Ahmadinejad that China and Iran should “maintain contacts and coordination on major international and regional issues so as to preserve regional peace and stability, and enable common development.” This goes slightly further than Hu’s suggestion in 2008 that “both sides should also strengthen international cooperation and work together to maintain regional and global peace and stability,” and shows China’s recognition of Iran’s importance to issues like the uprising in Syria. The relatively toned-down visit and the acknowledgement of Western sensitivities when it comes to Ahmadinejad, combined with China’s desire to continue working with Iran, exemplifies China’s position that it doesn’t want to be dragged into the “zero-sum game” between Iran and the US. Still, China understands that any conflagration in the Middle East as a result of the Iranian push for nuclear weapons is bound to hurt China’s interests as well. The carefully chosen language used by Chinese President Hu in his meeting with Ahmadinejad attests to that. The author is Director for China Affairs at The Israel Project, an international organization that provides fact-based information about Israel to the press, policymakers and public. The benefits for Israel from closer relations with China are seemingly obvious. Israel and China will on Tuesday mark the 20th anniversary of establishing diplomatic relations. There’s a lot to celebrate, not least the robust trade ties and frequent academic and civilian exchanges. Yet the two countries have barely scratched the surface in terms of the potential for bilateral ties. The direction for Israel in the 21st century is clear – eastward, as the two countries are a natural fit. The benefits for Israel from closer relations with China are seemingly obvious. With a population of less than 8 million, Israel has no domestic market to speak of. China, on the other hand, not only is the home to the world’s largest population but also a huge and growing middle class. Analysts expect continuing urbanization to keep adding potential consumers for anything from mobile phones to notebook computers (and Israel designs telecom billing systems and chips for those) and to increase the pressure on already limited land, water, and energy resources. Israel also has a lot to offer China. Sustainable development is one area where China can benefit from stronger ties with Israel. Israel used to be mostly desert, and until recently lacked any oil or gas resources. So Israelis had to rely on the only thing they had – their brains and innovation – to build the country. Thus came desalination, drip irrigation and water recycling to solve the shortage of water, solar and thermal energy for electricity. Two-thirds arid Israel recycles about 75 percent of its water and according government plans by 2014 will supply most of its water needs using desalination and even export water. Moreover, if Better Place gets its way to wean the world off of oil, the global car fleet may yet switch to electricity. Israeli innovation positions it as the natural partner for China. Less than 10% of China’s land is arable and China is suffering from ever more severe droughts. China has done wonders in three decades of reforms that have lifted millions out of poverty and transformed the country into a manufacturing powerhouse and the world’s second-largest economy. Yet the same reforms have put immense pressure on natural resources. Rapid industrialization led to severe air pollution and millions of people have no access to clean water. Israel, the “start-up nation,” and China, the world’s factory, can work together to build desalination plants, help ensure water supply for farmers, harness the power of the sun and clean the air, among other areas of cooperation. Still, there’s much more to Israel-China relations than just trade. Israel remembers how in the darkest hour for Jews, when the world closed its doors on Jewish plight, China became the haven for thousands of Jews escaping Europe. Shanghai alone welcomed nearly 20,000 Jews from Europe thanks in part to Chinese diplomat He Fengshan extending visas to Jews. In fact, China is one of the few places in the world where Jews were never persecuted and several Jewish communities existed in China since at least the 12th century. On all levels Israel is seeking greater interaction with China. The Israeli government plans to allocate at least NIS 110 million to raise the number of scholarships it provides to Chinese students for all degrees from several dozens to 250 starting this year. These students will not only enjoy first-class education at reasonable prices but will also become another bridge between the two countries. The growing numbers of Jewish and Israeli nonprofits that are engaging China also attest to the importance Israel attaches to China. For example, The Israel Project, a nonprofit, nongovernmental organization that provides information about Israel to the media and policymakers, launched a China program in 2011. We have a website about Israel in Chinese and we’re regularly communicating in Chinese with journalists using newsletters, media tours and social media. 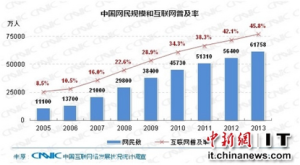 Bilateral merchandise trade has reached a record high of $7.5 billion in the January- November period of 2011, surpassing the $6.8b. recorded for the full year of 2010. Looking toward the next 20 years, let us hope that cooperation will continue expanding across a range of fields including science and technology, trade and tourism, and that the two countries can take the relationship to another level. Jews and Chinese – it’s a winning match. The writer is director for China affairs at The Israel Project, an international organization that gets facts about Israel and the Middle East to the press, policy-makers and public. Copyright Pevzner Greater China Communications, Ltd. © 2019. All Rights Reserved.